It’s the smart kitchens must have gadget! Quooker Taps give you the convenience of instant boiling water and/or filtered cold drinking water. No more waiting for the kettle or boiling water on the hob. No more buying expensive bottled water. Dutch engineer Henri Peteri designed the concept in the 1970’s and it has evolved over time. There are eight tap designs available, each one sleek and beautiful, with three finishes to choose from so it’s sure to fit right in with your kitchen design. The Quooker’s great high-vacuum installation design means that it costs 3p per day to have boiling water whenever you want it. Amazing and even more amazing is the COMBI tank, which supplies all of your kitchen’s hot water requirements. In a compact tank under your worktop it removes the need to pipe hot water from the main boiler to the kitchen sink. It also gives you just the right amount of boiling water again saving energy. Boiling water can be dangerous and there are hundreds of injuries requiring medical attention each year. The Quooker designers are very conscious of safety and therefore there are a number of features to help avoid accidents. There is a childproof handle and the sides are insulated to make sure it is never hot to the touch. The spray is a fine spray allowing you time to get your hands out of harms way. The boiling water control is separate from the standard hot and cold. 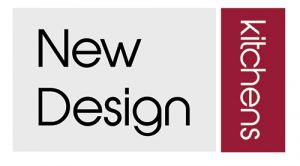 Take a look in more detail on the Quooker website or don’t hesitate to contact us here at New Design Kitchens for more information. New Design Kitchens are currently offering fantastic deals on selected NEFF appliances – with 33% off RRP in their Winter Event. Carl Neff made his first oven in 1877. There has been much change since then and cooking has become more a pleasure than a chore. Ingredients can be sourced from all around the world and global ingredients have become local ingredients. Kitchens have become the heart of the home and NEFF appliances are often the kitchen’s core ingredient. NEFF continue to bring new innovation into the kitchen. For example Variosteam, during cooking, Variosteam technology adds moisture to the oven (in the form of steam), meaning that roasts, for example, will turn out succulent and juicy every time . Another innovation is NEFF’s Flexinduction hob. Just place a pan anywhere on its smooth, dark surface and only the pan heats up, whilst the rest of your cooking area stays cool to the touch. The NEFF brochures contain all of the product and feature information you need to select your next NEFF home appliance. To download and view NEFF’s latest brochure click the following link. NEFF have always strived to produce good quality yet simple top class products and their longevity in the market place reinforces the fact that NEFF continue to make products that customers want. New Design Kitchens are proud to be a supplier of NEFF products and have worked with them for many years. We offer this premium brand and we know that you will be delighted with your product. Why not visit our showroom where we have a fully working kitchen installed and you can see appliances in action. Please contact New Design Kitchens to find out more.